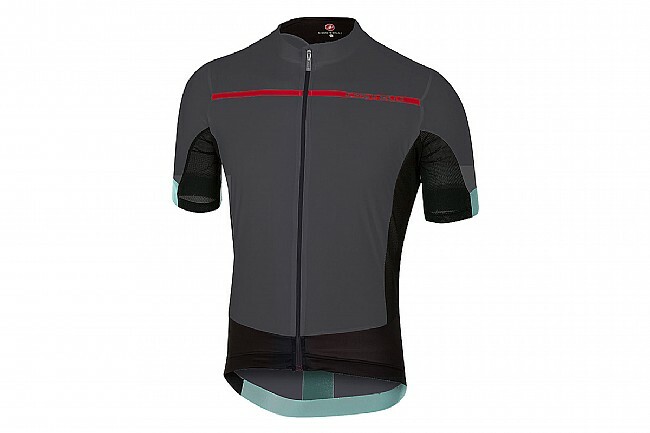 Bringing the features of the pro-level RS Superleggera to those of us that aren't in Grand Tour shape, the Castelli Men's Forza Pro Jersey sports a roomier fit without compromising on performance. Constructed from moisture-wicking Launch Prosecco fabric, this jersey keeps you drier for longer while using your sweat to keep you cool. The relaxed fit provides comfort on long training rides, while the side panels and under arms use microfiber mesh for improved ventilation and a soft touch. 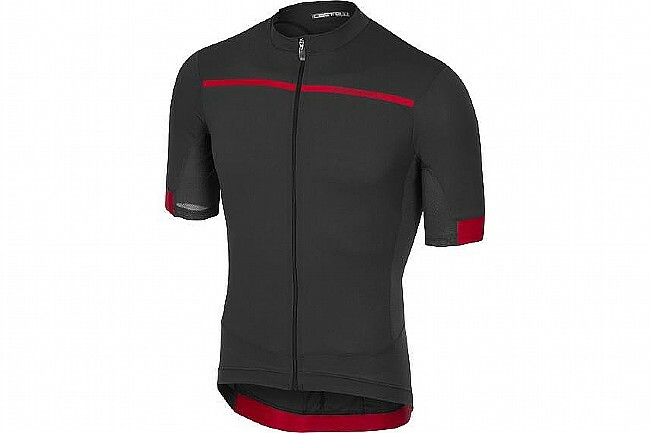 Flat lock seams and a raw edge sleeve gripper reduce chafing and pinching. The full-length camlock zipper makes on-the-fly one handed adjustments a breeze, letting in fresh air while you crush the climb or blocking it out as you hit the descent. 3 generous pockets provide ample storage space for your nutrition or flat-fixing needs, while the zippered 4th pocket allows you to stow away your cash, keys or cards safely and securely.